I love the traditions associated with Ukrainian Easter, and especially the Blessing of the Easter Basket, which contains all the food items used at Easter Brunch. Wishing you a Happy and Blessed Easter!! Sigh… I miss this tradition. I moved from my family 26 years ago and our family traditions didn’t make the move with us, mostly because we moved from the north to the south where “Old Country” heritage is almost nonexistent. A couple of years ago I found a Polish priest at a Catholic church about 60 miles away who was blessing baskets. That year I prepared a basket just as I remembered my mom did when I was a little girl and traveled the 60 miles to have my basket blessed with five other women and their beautiful baskets. I know exactly what you mean. Several years back I lived in Virginia, and had to travel to Washington, DC to bless our paska. We were lucky enough to find a Ukrainian church in DC, and it was such a moving experience to see all the people with their Easter Baskets full of delicious Easter food for blessing. I totally applaud you for trying to keep up with the tradition, and teaching your family about it. Thank you for stopping by and taking the time to leave such a lovely comment. I am very pleased to hear that Ukrainian in Canada are continuing to practice this beautiful Easter tradition. You all are lucky to have Ukrainian businesses who provide the wonderful foods (paska, kobasa, etc), to fill Easter Baskets with, and enjoy on Easter Sunday. 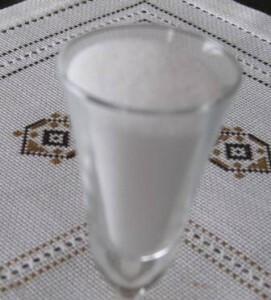 I found your wonderfull web-site searching for a paska recipe! Thank you for bringing recipes and telling about ukranian easter-traditions! I have a daughter in law from Ukraine. Next year I will make her paska for Easter! Yes, I am very lucky to have such a rich Easter tradition, and able to teach my family all about it as well to pass it on to future generations. I had a wonderful Easter, thank you. Welcome to Suburbangrandma! I am so glad you stumbled upon my website, and found it interesting, thank you very much. 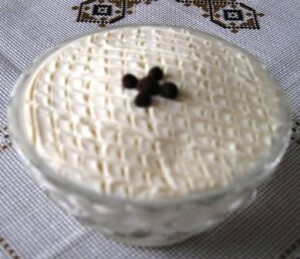 You are such a nice mother-in-law to plan on making paska, to make your Ukrainian daughter-in-law feel more at home. So sweet of you, and I am sure she will appreciate it. If she has any special recipes she wants to share, I would be more than happy to try and post. Thank you. Thank you for your beautiful posts and photos! My grandfather was Ukrainian, and I am trying to keep these beautiful customs alive in our family. I very much appreciate your complete descriptions and photo– thank you so much for sharing. I am glad you found my blog interesting, and helpful. I applaud you for trying to keep the Ukrainians customs of your ancestors alive, and passing them on to future generations. Your Grandfather would have been very proud of you! Happy Easter! Khrystos Voskres- Voistynu Voskres! Thank you so much for enjoying my website. Please stop by anytime. 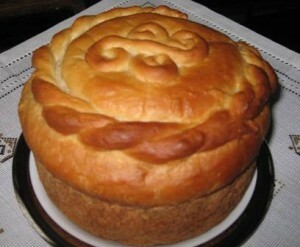 I am so happy to hear that soooooo many people out there are making PASKA for Easter. I received numerous emails about their paska baking experience, and am so proud of everyone out there baking this special bread, and keeping up with a beautiful Easter tradition. Thank you for the tip on yet another idea for paska bakeware. I will look into it and pass it on as well. for 42 yrs/His mother always kept the traditions going every year. Unfortunately she now has Dementia but for a treat this year I made Vereniki for the Good Friday Evening Meal(potato and fried onions ) They turned out delicious.I am now trying to get more recipes for the Religious celebrations,so you site has been a great help. I’m so happy that you found my site, and are enjoying the recipes. Let me know if you are searching for any particular recipe, not posted on my site yet, and I will try to help you out. You are a wonderful lady to continue the Ukrainian tradition, and bring joy to your mother-in-law, with your culinary creations. God Bless you! Thank you for the lovely comment. My Mother and sister used to make a horseradish and hardboild egg combination at breakfast, I think maybe with some vinager but not sure. Sadly both have gone to heaven and no one can recall how this was made. Any ideas? I am not sure what type of dish you are thinking of?? Most people who like horseradish, eat it on top of their hard boiled eggs, sliced and placed on a piece of paska…open face sandwich like. I guess you can make a egg salad with horseradish, but I am sure you would need some mustard or mayo to hold it all together. I don’t think vinegar would be needed with this combination. Vinegar is needed for making the red beets salad for Easter, as well as horseradish. I wish I could help more, but that is all I can think of now. I am preparing my basket today. It contains the traditional items you mentioned. However we also incorporated roasted veggies and fresh fruits as well as soy based sausage products since we are watching our health as we age. Any idea to improve the traditional basket with health wise choices would be appreciated! 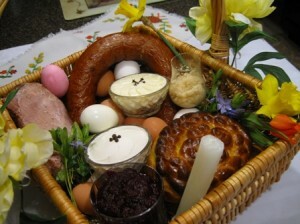 Traditional Ukrainian food items for Easter are kind of difficult to replace. 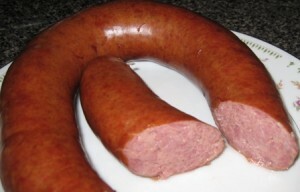 However, I did hear of chicken Kobasa made in NYC….you can eat only egg whites, and discard the yolks. You can soak, or boil the ham, to cook out some of the salt. The red beets and horseradish are healthy for you. 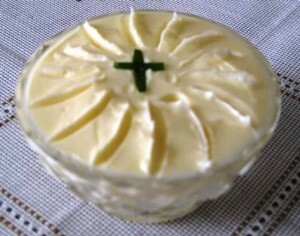 There is low fat cream cheese, and light butter. But, I figured if you eat the traditional foods as they are once a year, at Easter, and watch your diet for the rest of the year, you should be fine, unless these foods are creating issues for you from the get go. 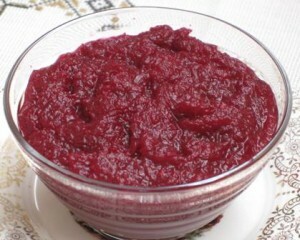 For grated beetroot I only use a few jars or Horseradish cream now! Thank you for sharing your easy eggs and beetroot recipe tips. Appreciate your time for stopping by my site and leaving a comment. Brilliant website ! Thank you for sharing your recipes. I am an Australian born Ukrainian / Italian and I’m really enjoying learning about heritage. Happy easter blessings to you and your families. I am extremely happy to hear that you are very interested in learning about your Ukrainian heritage, and that you stumbled upon my website. Thank you so much for taking time out of your busy schedule to read my posts and to leave a kind comment. I’m sorry to hear that you are not keeping up with these beautiful traditions. Does your church still practice the Easter Basket Blessing? Baking your own paska bread is not that difficult, and if you check out my recipe, it really is so easy and never fails. I feel very blessed that I still am able to continue this tradition with my family. My daughter and daughter-in-law learned to bake their own paska bread, and enjoy it. Maybe some day you will get the urge to give it a try. Thank you for reading my posts and leaving a comment. Thank you sub-granny, I’m a converted Protestant to the beautiful Ukrainian Catholic religion 3 blessed years ago. I’m making my Easter basket & checked on your GREAT website to insure I have all the foods needed. Thank you & God. I am so pleased to hear that you were impressed by our Eastern Rite Catholic religion, and our very rich cultural traditions. Thank you very much for stopping by my site and finding it helpful for your Easter Basket assembly….Enjoy your Blessed Easter Food. Khrystos Voskres! Voistynu Voskres! Christ is Risen! Indeed He is Risen! This is a wonderful website! it helps me to remember all the things that go in the basket… just like Baba used to do! You are such a sweetheart! Thank you so much for such kind comments. I feel delighted to know that in my small ways I am able to enrich the life of others. Today I received this comments on Facebook, so decided to include it here for all of you to view. Comments like this one touch my heart, and make me feel that the time I spent on preparing these posts are worth my effort, as they bring back memories to many of my readers. I totally appreciate all comments you all take time to leave on my posts. Thank you so much. Again, Thank you so much Barbara for stopping by my post and for leaving such a sweet comment. Happy Easter to you and your family. Khrystos Voskres! Voistynu Voskres! which means Christ is Risen! Indeed He is Risen! …a greeting exchanged on Easter Sunday. After the basket blessing My mom would take the Easter basket ingredients and chop them up. Ham kielbasa fresh sausage hard boiled eggs and mix it with vinegar and grated fresh horseradish. It was watery from the vinegar but definitely not soup. We called it chop chop since it was chopped from the food in the basket. 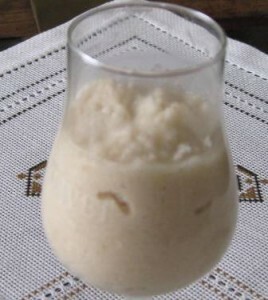 I have never found a recipe as to what this could be called. We are of polish background. I certainly do miss the old family traditions. My grandparents come to this great country in time for the Depression. They never regretted it, however their customs and faith still live on. Thanks for sharing and encouraging others to honor their families and heritage. I grew up in the mid-west but Alaska has been home over 30 years. Soon I will be making our paska and putting the family basket together to take to the midnight Liturgy. It is the most holiest of days for Christians. God’s blessings on you and your family. Christ is Risen! Khrystos Voskres! Voistynu Voskres!! Indeed He is Risen!! Happy Easter!! You just made my heart sing…..:-) I am so pleased to hear that your grandparents did such a wonderful job passing on the Ukrainian traditions to their future generations, and now you are proudly practicing these with such enthusiasm. 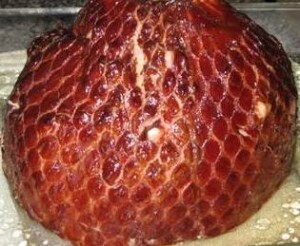 May the Lord Bless you generously, and may your Paska and Kovbasa be tasty for your Easter meal. Thank you so much for finding my blog, and leaving such heart warming comments.